Are you a regular on Zwift? Many of my clients are finding it to be a great training tool making those tough intervals much more interesting and fun! I have created these 5 FREE training sessions (ZWO workout files) under an hour for cyclists who would like a kickass training session focusing on specific areas. 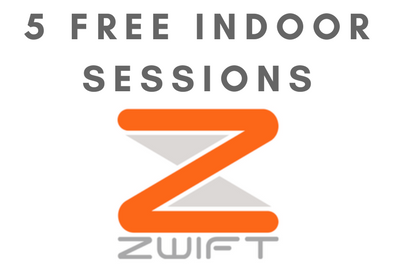 Each session is designed specifically for Zwift and a smart trainer in ERG mode and includes additional coaching instructions programed into the workout file. This means when you are suffering to get through the interval, you’ll receive extra instructions and encouragement from me flashing across your screen. This will add extra motivation to your session. The power targets for each session will automatically adjust to your FTP (best 1 hour power) saved in your Zwift profile, ensuring the workout is tailored to your ability. This session is designed to make you stronger on those long, hard efforts over 10+ minutes. The session builds in intensity and duration as the session gets closer to completion. For best results, perform this session 1 time/week to become stronger on those long, hard efforts. Do you ever suffer when there are repeated hard accelerations? This session will help improve your ability to recover faster plus it will improve your leg speed. The session builds in intensity with a total of 3 sets of intervals. Each set is harder so be ready to dig deep! This session is good to do every 1-2/weeks. Do you struggle climbing or pushing a big gear? This session is going to give you so much more leg strength and ability to turn a big gear smoothly and in a more relaxed fashion. This session is great to perform 1 time/week. Racing, whether on Zwift or out on the road, is some of the hardest efforts you will ever do. This session will bring on the race form for group rides or racing. These intervals are very intense so you don’t want to do them every week. Ideally, you will do them in the final weeks before a goal event or in two week blocks to gain race form. Do you ever lose steam 1-2 hours into a ride, when you just can’t put out the same power compared to earlier in the ride? This session will build your sustained ability to push out a high power over a long period of time. Aim to do this session 1 time/week. If you would like to have a copy of these Zwift ZWO files to upload directly to your Zwift Workout folder, including easy step-by-step instructions, simply submit your email and we’ll send you the instructions and files directly to your inbox.